The Hustler is the perfect accessory for pool, billiards and other cue stick table top ball games. Lightweight yet strong and adjustable to allow for all types of shots. Swivel ring allows for smooth controlled stick action and rubber tipped monopod provides “bridge-like” access to the tightest ball groups without slippage. (4.5 ounces, 5.25 inches long) 1/2 inch threaded, stainless stud fits all standard body-powered, mechanical, prosthetic wrists. No cable required. Adolescent to adult. *Also See: The Pinch Hitter although originally designed for swinging a bat has proven to be the perfect accessory for handling a pool or billiards cue (stick). The Pinch Hitter is flexible enough to be positioned almost anywhere on the pool or billiards cue handle. It provides a snug fit and duplicates the type of fluid wrist action required to perform a smooth shot with proper follow through. 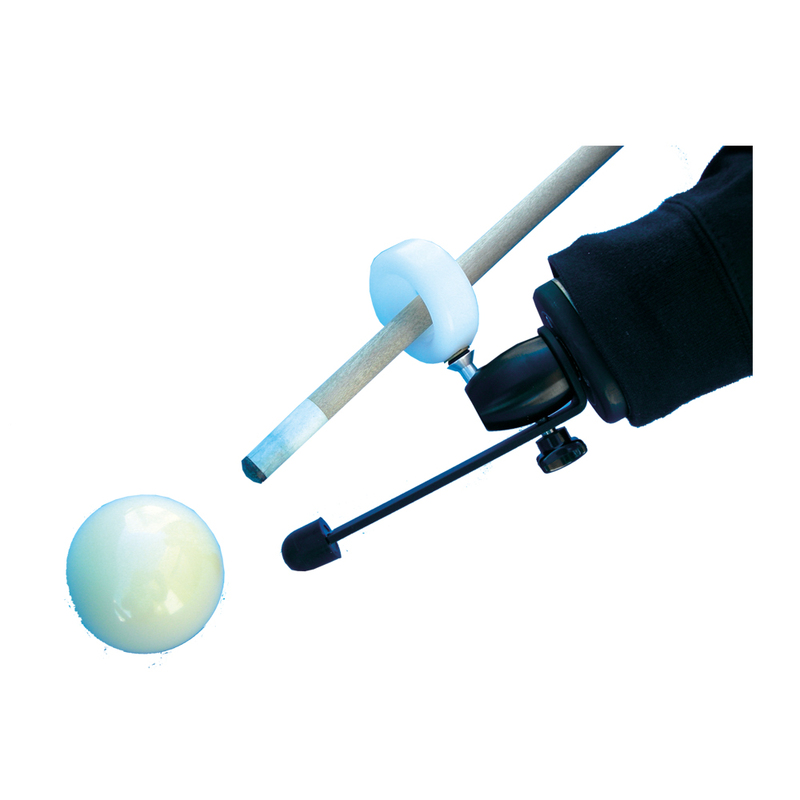 The Pinch Hitter Pool Cue Accessory can be used by persons with either a right or left hand absence.